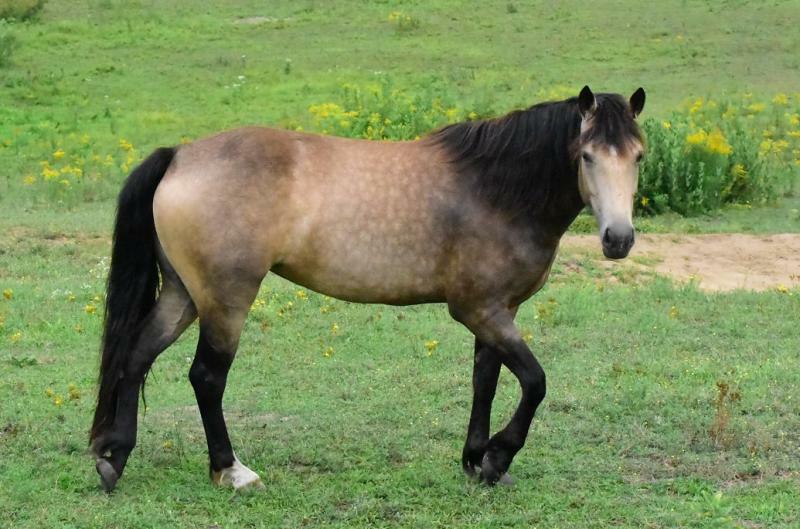 MLC BANRIONA VICTORIA N/N 2014 buckskin mare by Morning Glorys Ilyushin out of TBF Eavan Tressa. This lovely girl was sold as a weanling and we had to honour of purchasing her back to add to our fabulous group of mares! 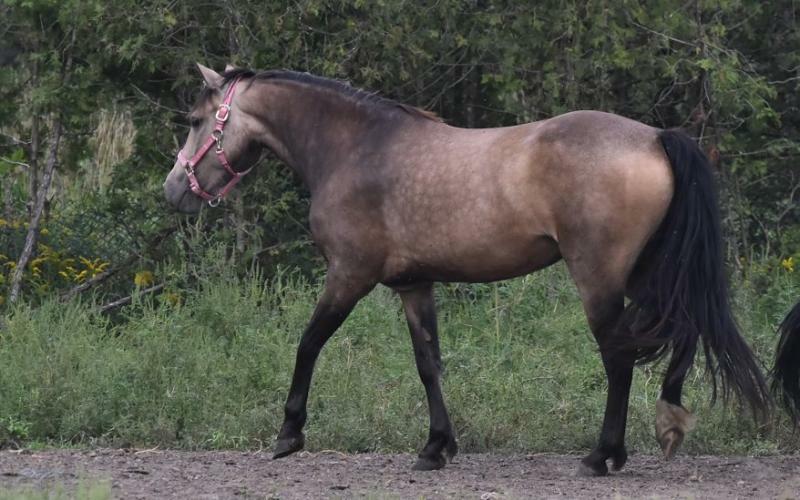 N/HWSD This lovely solid mare by Elphin Lorcan out of Bien Mallins Northern Lights is new for MLC in 2018. 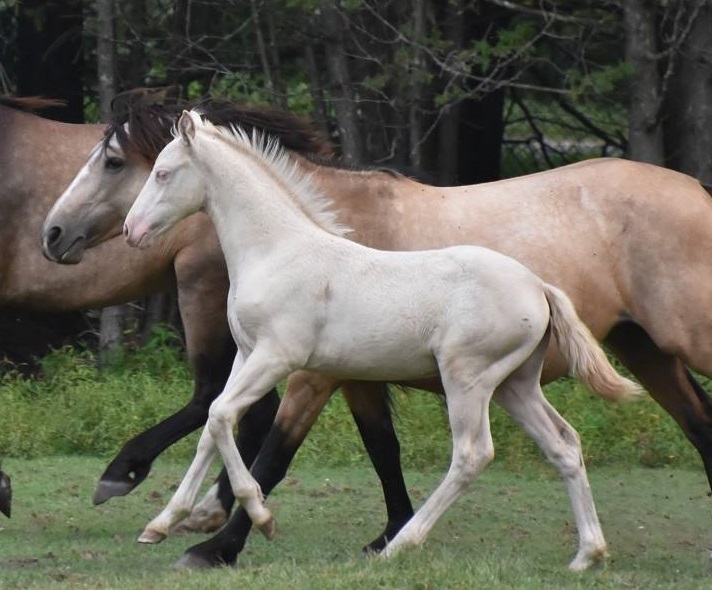 Bred in Alberta she has had several Welsh cross foals and will now be bred for purebred Connemaras! 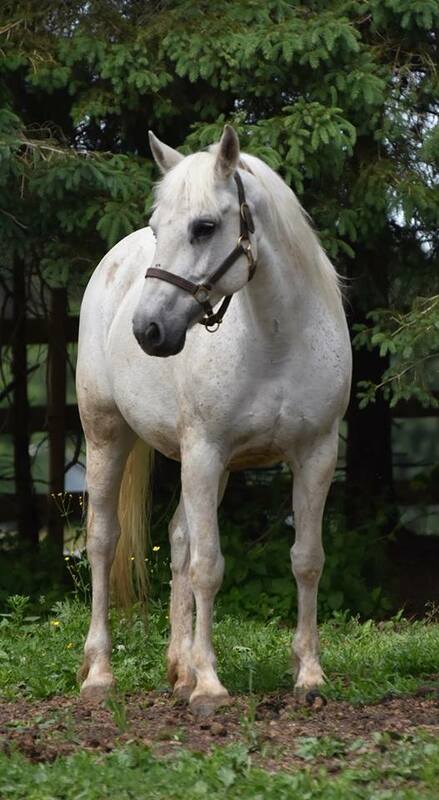 Elf is bred to Rhinstroems Might Man (standing in South Africa) for a 2019 foal. 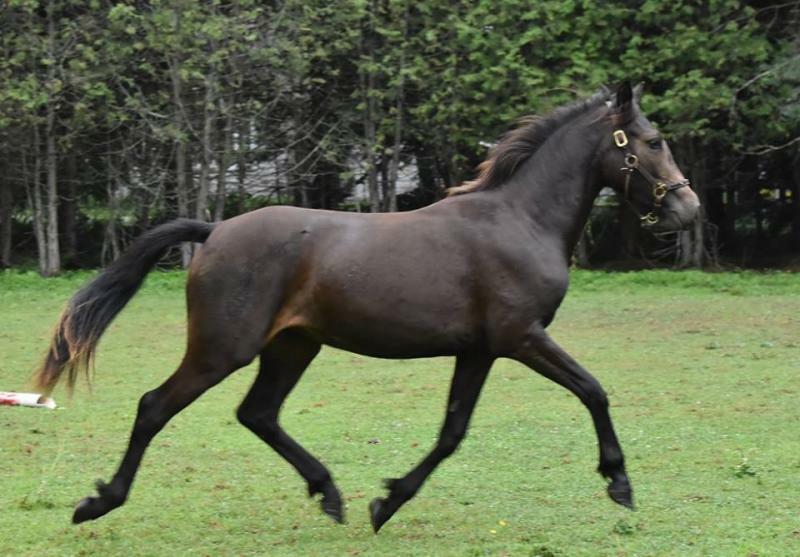 Black mare out of Wildwych Whiskey Bay by Fairyhill hawk N/N Absolutely sweet mare, proven broodmare and rides lovely. 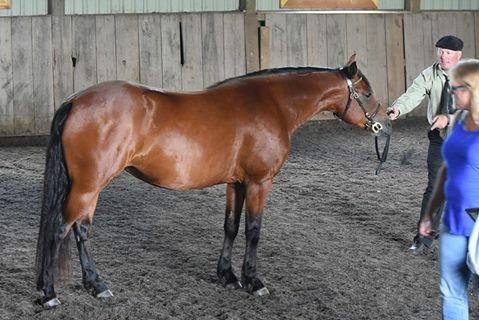 Looking forward to seeing her foal in 2019 by Pattys Etoile de Paris! Sissi is an imported Selle Francais mare (from France) - Jarnac x Sir Ivor- who is an extremely athletic and top noth mover who was successful in the 1.35m jumpers in Europe. 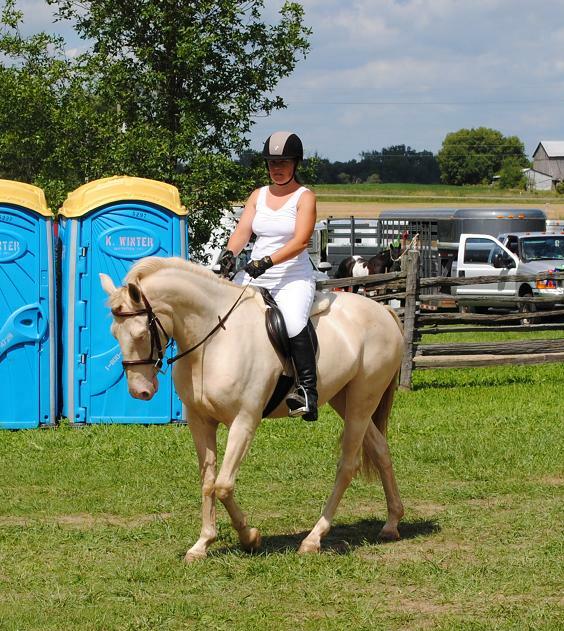 With her size and athleticism Sissi was showing very successfully in NA when she had an unfortunate paddock accident. 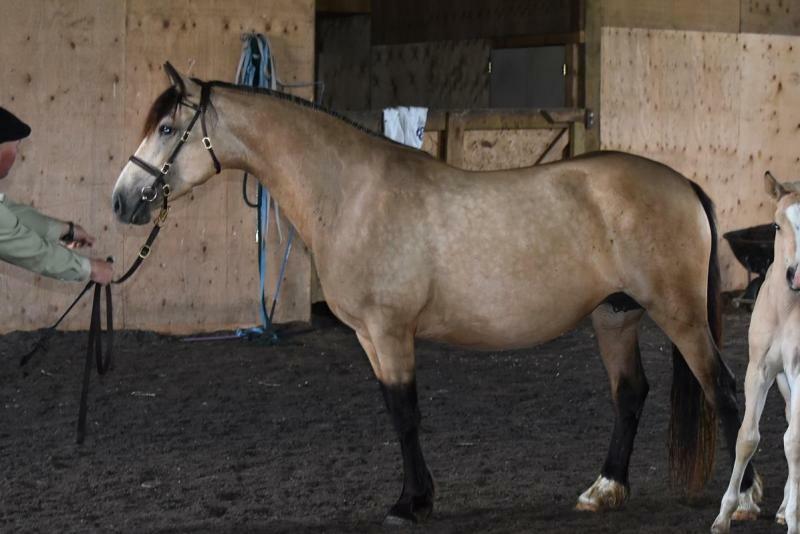 Her temperament and wortk ethic made her a brilliant AA/Youth mount and her 2016 foal by Fiontar Mac Tire is showing her aptitude for the upper levels. 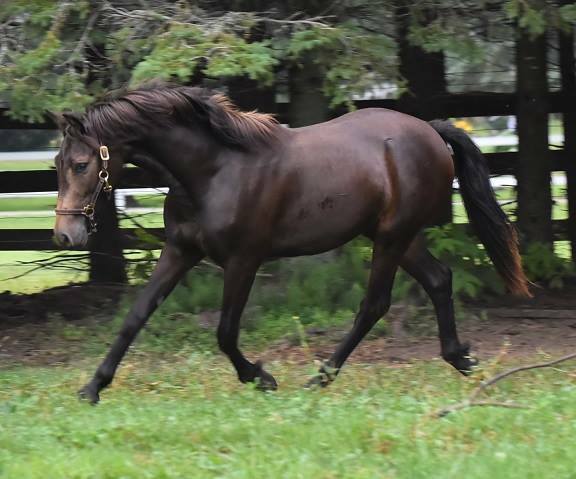 A 2015 filly by Morning Glorys Ilyushin out of Belfast Button and is absolutely bred to perform. 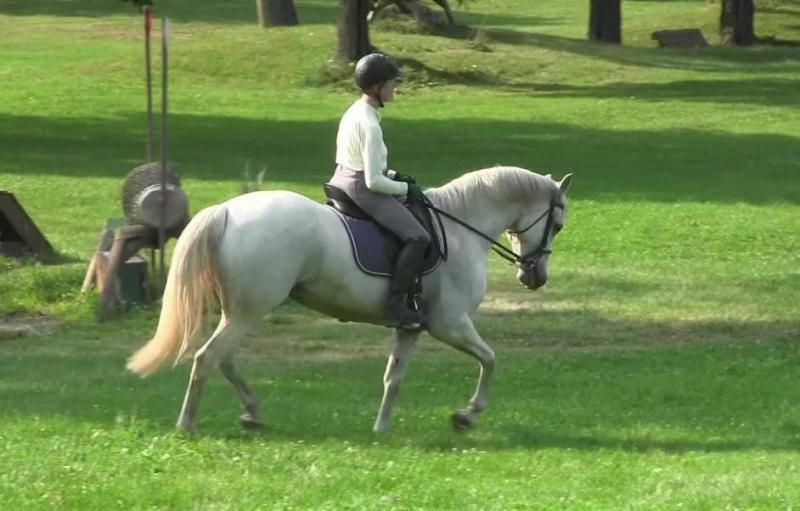 Cookie has qualified twice for the Royal Winter Fair Sport Pony show. Lightly started under saddle, Cookie has been wonderful and I am looking forward to furhtering her schooling in the dressage sandbox! 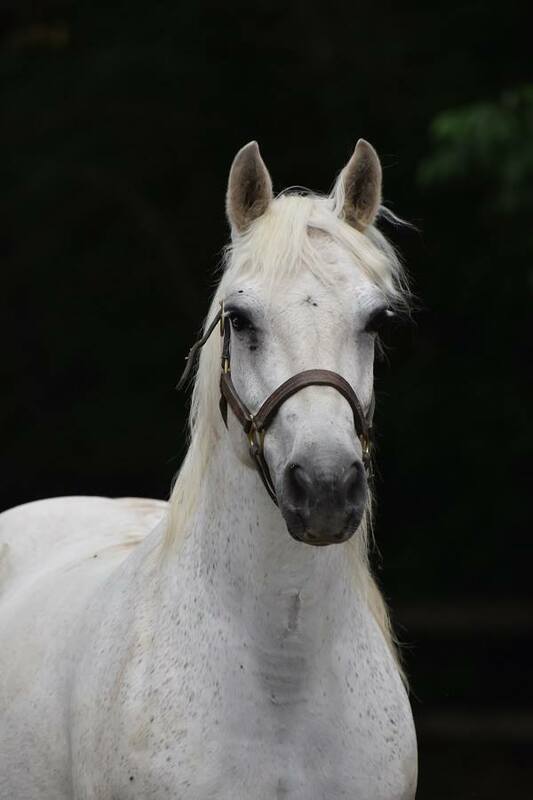 July 2016 Maeve was presented for inspection and she was passed as a PREMIUM mare. 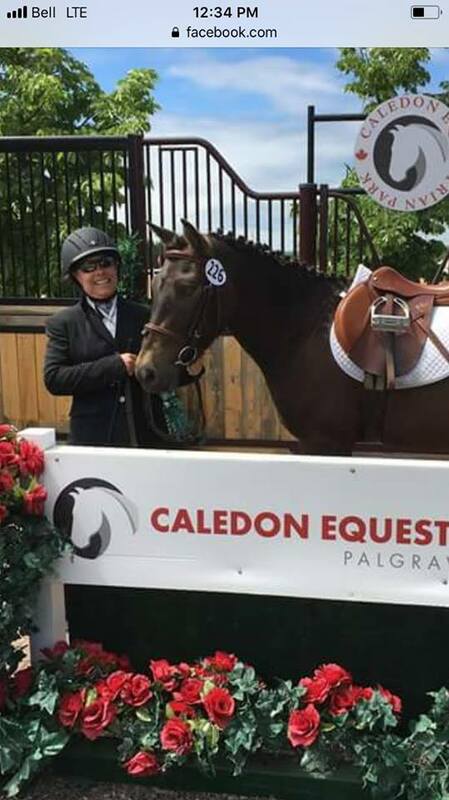 We are beyond thrilled with her results and honoured to have her in our breeding program. MLC BAN ANDRASTA N/N by Morning Glorys Ilyushin x Brambleridge March Mayhem. 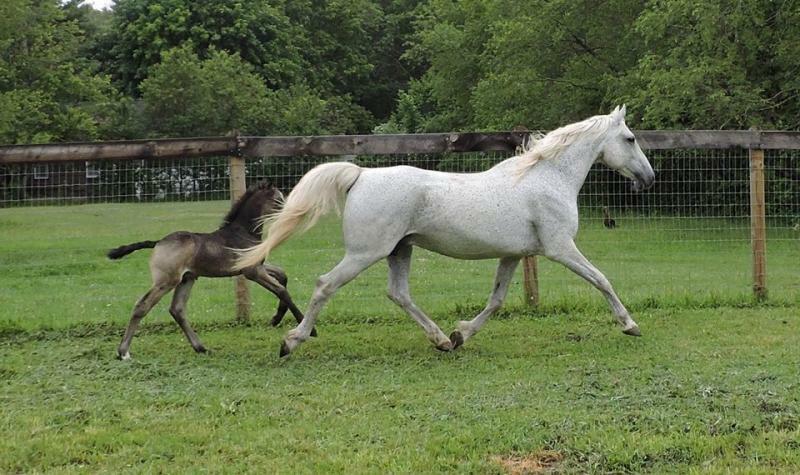 Perlino filly who is simply exquisite in her whole being. Phenomenal, effortless mover with a laid back and frienldy personality. 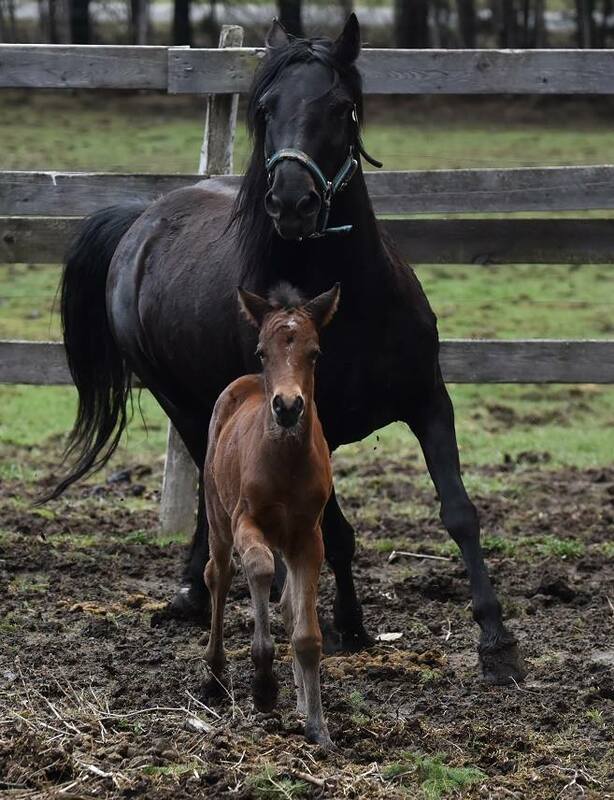 Born 2018 she has been retained for our breeding program. 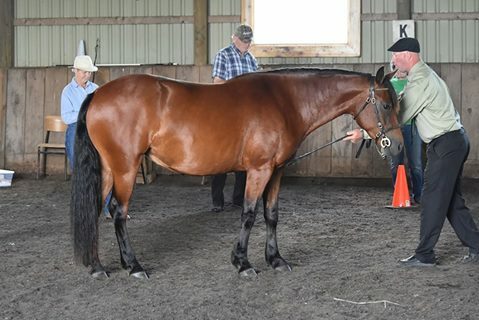 July 2016 and this lovely girl passed her inpections with the request she be brought back once she has a foal to be represented for Premium status! 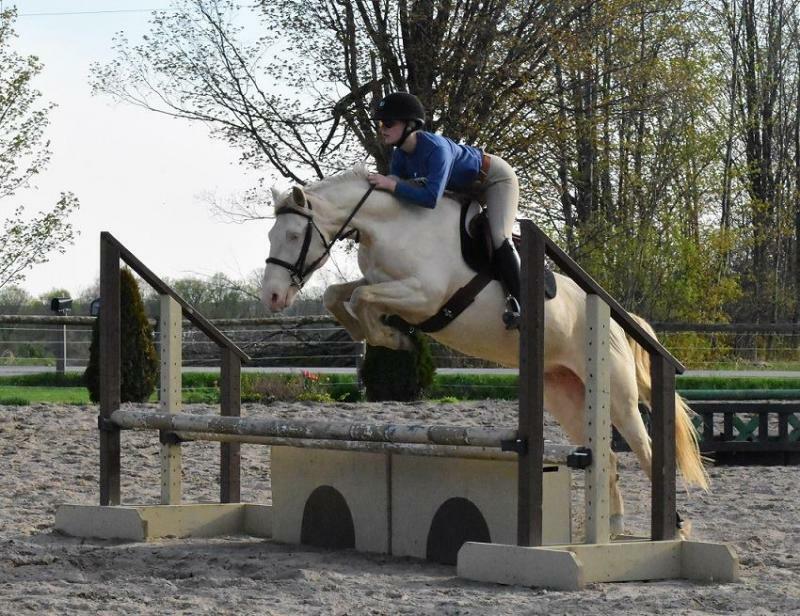 Thrilled with this beautiful mare. 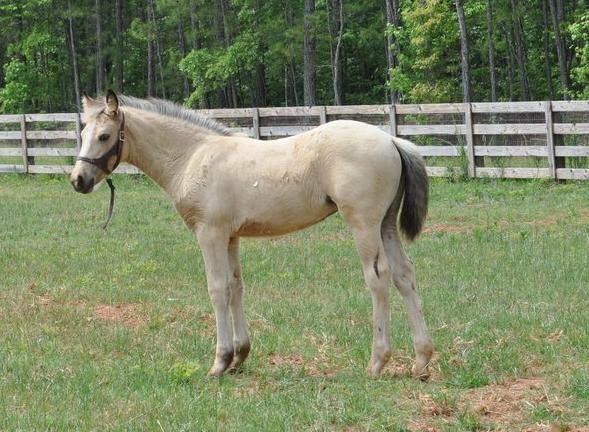 N/N Grey mare by Balmullos Beacon out of Foothills Kelligan, this lovely mare is being bred to Tre Awain Goldsmith for a 2019 foal! 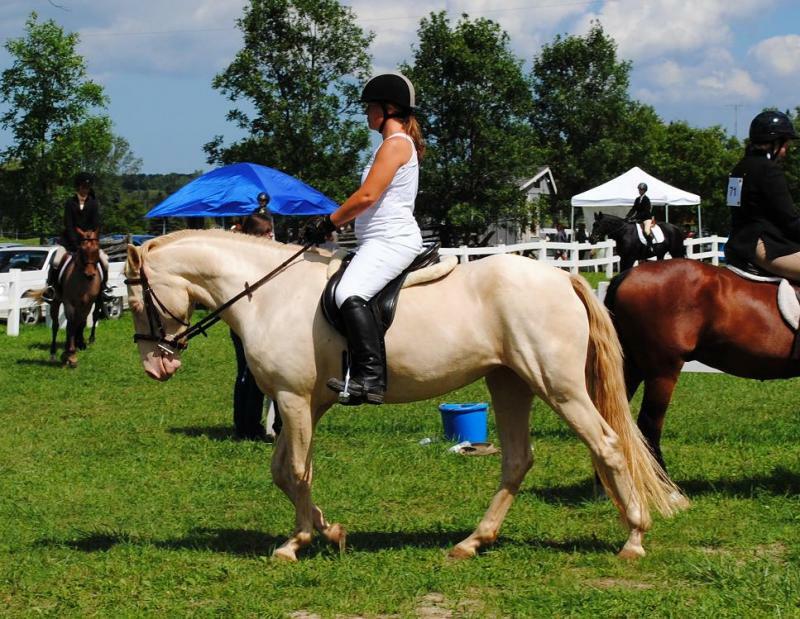 Cat is 14.3hh and Tag is 15.2hh so we hope to have a lovely oversized pony from this pairing! 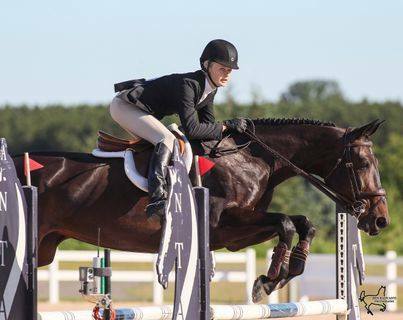 Many thanks to Vanessa Morgan for the opportunity to lease Cat for our breeding program and many thanks to Emily Daily for getting her bred to Tag! 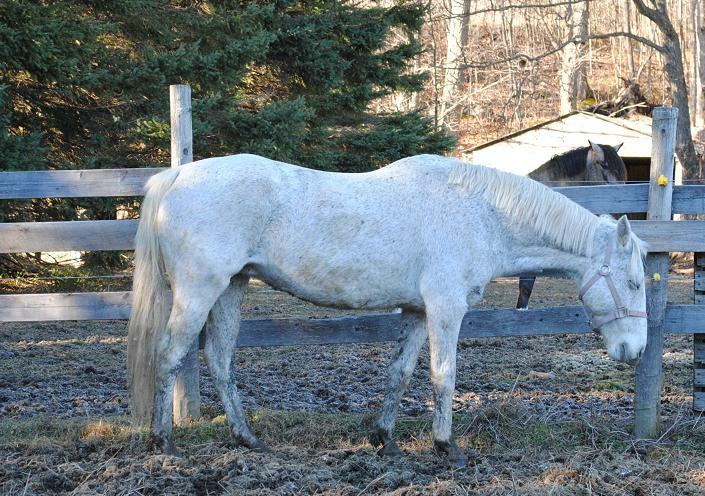 N/N This gorgeous stamp of a mare is on a lease for the time being. 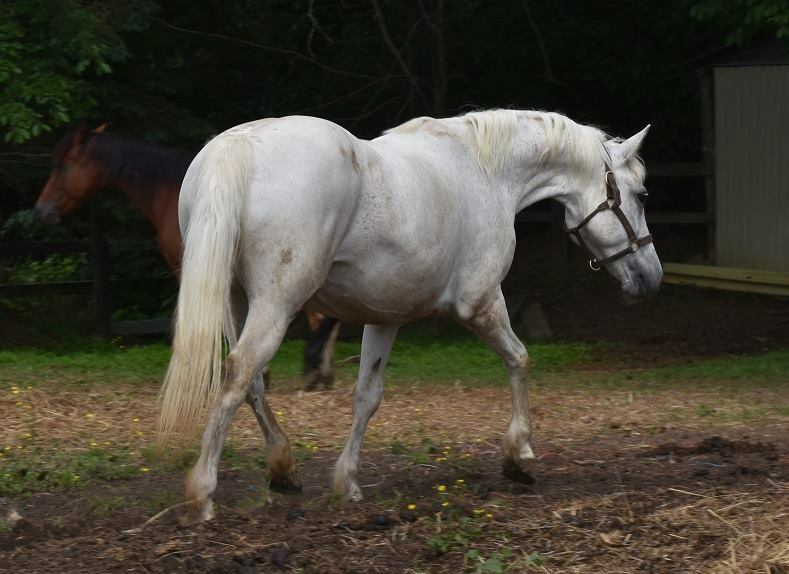 By Maplehurst Michael MacDaire out of Aluinn DeHaoine, she is currently in foal to Fiontar MacTire for a 2019 foal. 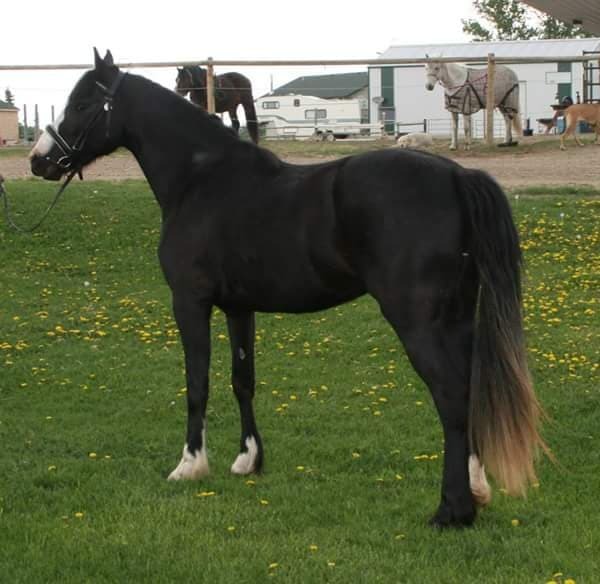 May is a sweet and gentle mare with lovely movement, top notch breeding and a substantial and correct build.